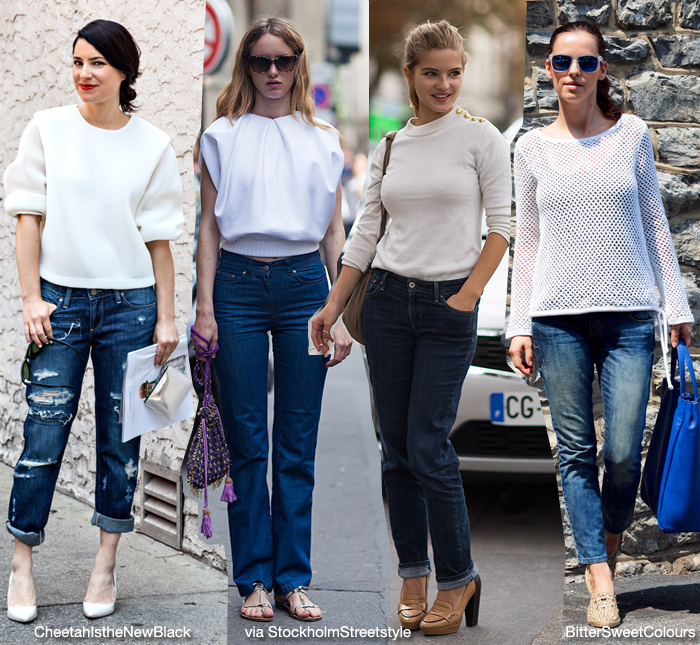 Basic: White Shirt/Top Jeans. 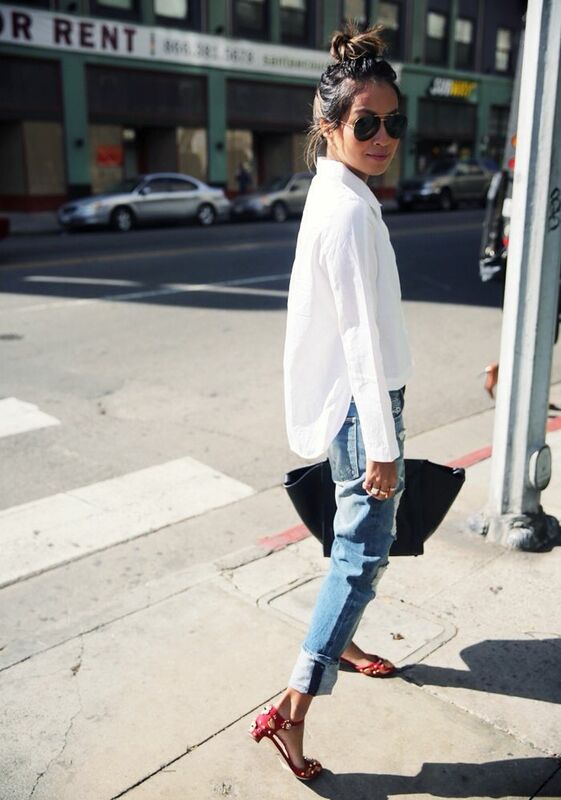 Photos via: thestunninglook, harpersbazaar, fashionmugging, unearmoirepourdeux. You can’t go wrong. Impossibile sbagliare.